In the spring of 1864, Dr. Andrew Taylor Still watched helplessly as his three children died from spinal meningitis. The best medications of his day could do nothing to stop the disease. From his unimaginable loss, osteopathy was born. If you’re looking for an osteopath, Toronto is a great place to be. Toronto’s best osteopaths are regularly booked to alleviate aches, pains and postural problems, and an increasing number of chronic ailments such as insomnia, migraine headaches and fibromyalgia. We have three such manual practitioners on our team, all educated in a 5-year intensive program in Lyon, France. When you’re in pain, your body and quality of life are out of balance. Osteopathy brings that balance back – without invasive techniques and without drugs. It re-establishes your body’s natural ability to heal itself. Osteopathy treats your underlying causes of pain and illness, and also provides you with many other benefits, including strengthening the structure of your body, aching joints, muscles, nerves and spine. Osteopathic manual practitioners don’t simply focus on alleviating your symptoms. Their goal is to discover the source of your problem – by identifying contributing factors that created the discomfort in the first place or that are sustaining it. Osteopathy has a clear mission – to help you re-establish a conscious connection with your body’s living medicine. To guide you through the process of healing and transformation as quickly and effectively as possible – all the while respecting the laws of nature. Osteopaths in Toronto welcome everyone – young and old, office professionals, physical workers, athletes, pregnant women, children and many more. What are the benefits of osteopathic treatments? Osteopathic methods encourage your body to heal itself. They address the root cause of your pain or dis-ease using a gentle, hands-on approach. That’s the main reason our osteopaths in Toronto are often booked up in advance. Like a seasoned mechanic, your osteopath helps restore your body to the well balanced and efficient system it was meant to be…just like a fine tuned engine! Your body is very much like a car. If you hear a strange noise or rattling underneath the hood, it’s often because there are a bunch of factors creating it. The best osteopaths in Toronto know exactly how to get to the root of the problem. Once restored to optimal harmony and balance, your body can operate with minimum wear and tear, and allow you to feel a greater sense of energy and well being. How soon until it starts to help? And does it provide lasting relief? If you’re experiencing pain or discomfort from a recent injury, or if you’ve had chronic pain for years as a result of an old accident or health problem, an Osteopathic manual practitioner can help you find a way out. You’re a unique individual and you’ll respond to treatment in your own particular way. It all depends on how long you’ve experienced your pain, what kind of lifestyle you lead and your overall state of health. For example, someone older who’s had lower back problems for years, is a heavy smoker, consumes a lot alcohol and enjoys eating junk food will respond completely differently than someone younger who eats well, does yoga and exercises regularly. If you’ve got a less serious condition, you may feel better right away and only require one or two sessions. But if what ails you is more chronic in nature, you might need several treatments followed up by less frequent, preventative treatments to help you maintain your level of well being. A key barometer of pain or discomfort is lack of sleep or restless nights. Poor sleep patterns magnify your body’s imbalances and reduce your ability to cope with pain. A good night’s sleep is often the first sign of an effective osteopathic treatment, because you can’t heal if you don’t sleep. After receiving a treatment from your osteopathic doctor, you may even notice an improvement in symptoms that you didn’t come in for in the first place. Toronto’s osteopathic physicians gauge and care for your body’s structures and rhythms using a gentle, hands-on technique called osteopathic palpation. Using their palpatory skill, osteopaths will pinpoint areas of your body that are restricted (not moving freely) or constricted (inhibited or squeezed). They then gently ease the restrictions so your body can function normally again. Every part of your being is connected and inter-dependent. Your physical, emotional, social, spiritual, and cognitive systems all work harmoniously together to provide you with a perfect, balanced state. Your body is made up of bones, muscles, organs, and blood vessels. They’re all linked together by subtle networks that help form an integrated whole: the circulatory system, the nervous system, the endocrine and immune systems, and connective tissue. What happens in one part of your body can affect other areas. So if you’ve got a pain in your shoulder, it could be related to what’s going on in your back, your hips, or even your feet! To put it simply: The whole is greater than the sum of its parts. If your body’s structure becomes compromised or weakened, let’s say from an injury or strain, then you’ll experience that as pain, discomfort, stiffness or instability. Your bones, ligaments, muscles and fascia (the soft connective tissue found throughout your body) must be free to move, and avoid encroaching on your nerves and blood vessels. Otherwise, these structural problems may lead to changes in your physiology and body chemistry that can lead to dis-ease. Think of your body as a huge spider web. If even one thread breaks, it’ll affect the entire structure and its ability to function. Your body has its own unique natural healing mechanisms. Osteopaths are adept at unlocking the gates so that your fluid channels and nerve pathways can stimulate your body’s ability to heal. Once these blockages are removed, the body is usually able to return to its natural state of ‘homeostasis’ (being in perfect balance) and resolve all but the most serious conditions. You’re considered to be in complete health when all your body’s components are in balance. 4. The artery is supreme! Your body is made up of 80% water, and your blood supply is the water of life. In order to truly heal, your troubled areas need to receive enough blood to provide them with the necessary immune cells and nutrients. All the fluids in your body including your blood, your lymphatics, and the cerebral spinal fluid around your brain and spinal cord need to be free flowing. These fluids carry precious oxygen and nutrients to your body’s cells, and they remove toxic waste. Just like an ocean needs healthy rivers and tributaries, so that it can continue to thrive, you need your arteries to be in optimal shape, in order for your whole body to function smoothly. What can one expect during an osteopathic treatment? On your first visit, the practitioner will have you fill out a confidential medical history form and may ask you some questions to get a clearer picture of your health background and the reason for your visit. You’ll wear loose clothing, such as shorts and a T-shirt. Osteopaths will often begin your session by performing a series of simple movement tests in order to evaluate your structure and posture. Sessions usually last between 45-60 minutes. What makes Osteopathy unique from other forms of therapy? Doctors of Osteopathic medicine (DOs) specialize in osteopathic palpation, hands-on therapeutic techniques designed to help you alleviate pain and restore functioning. Throughout your treatment session, your therapist will remain sensitive and mindful to the ever changing needs your body. If you don’t know what ‘fascia’ is, don’t worry, you’re not alone! Your fascia is an important soft tissue found throughout your body. It connects all of your body’s structures at both deep and superficial levels. Fascias surround everything in your body like a spider web. They envelop your muscles and joints, and they connect your guts to your spine. Good posture depends on the proper elasticity of these connective tissues. Your osteopath will check your fascia to find areas of restriction, and use gentle pressure to restore the length and proper tension of the tissue. Visceral Osteopathy’s goal is to help the vital organs in your chest, abdomen and pelvis return to an optimal functioning state. You may not realize it, but your organs can be negatively affected by surgery, inflammation, food allergies and stress. During your session, your osteopath will identify if any of your organs have limitations, and will rebalance them. This will release tension that may be affecting other areas of your body. Lower back pain is a great example. It’s often caused by an imbalance or tension in one or more of your abdominal organs. Amazingly, you’ll only feel the gentle pressure of the practitioner’s hand. But the corrections are powerful enough to improve the mobility of an organ, help the organ function more effectively, as well as affect other parts of the body that are directly or indirectly linked to it. Another complex term that is actually really easy to understand! Cranial osteopathy is an essential tool in treating your body holistically. It treats your skull, your central nervous system, and the cerebrospinal fluid that links your mind and body together. Your skull is made up of 22 bones connected together by sutures that encapsule and protect your brain. Osteopathic practitioners use this gentle technique to evaluate and treat the mobility of your skull. They also use it to assess and treat your spine, sacrum, and other parts of your body. Through tactile sensing, your therapist releases patterns of tension that have accrued in your head, spine and sacrum. You may feel this as heat or fluidic movement as the tensions gradually melt away. You’ll feel your body release, and attain a deep state of relaxation during the treatment. Due to the extremely gentle and supportive nature of cranial osteopathy, it’s often used with newborn babies. Every baby’s birth experience is unique, whether very rapid, long and drawn out, or a caesarean birth. Your baby might have been pressed, pulled or tangled in different ways, and this may leave a lasting effect on the little one. Many osteopaths specialize in the treatment of babies who are unsettled, struggling to feed and may be distressed from the effects of birth. Many mothers choose to have osteopathic treatment with their new borns simply to relax and bond after birth. Osteopathy has proven to be an effective and safe remedy throughout all stages of pregnancy. During pregnancy, you experience postural changes (due to the extra weight that you’re carrying), which can cause you pain and discomfort, particularly in your lower back. Your body is also affected by hormonal changes that soften and stretch your ligaments in preparation for labour. This can lead to backache and sciatica, neck pain, headaches, sore legs and extreme fatigue. Osteopathic treatment makes your pregnancy much more comfortable, as it releases tension and helps your body make the necessary postural changes more easily. Osteopaths help you as an expecting mother prepare for labour. They examine your pelvis to ensure it’s balanced and ready to allow for the passage of your baby; they help adjust the position of your baby and; they release any restrictions within your pelvis to give you the best chance for an easy and uncomplicated labour. 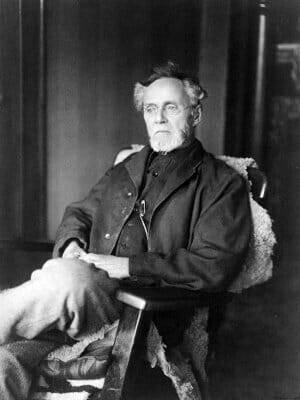 Osteopathy was developed in the late 19th century by Dr. Andrew Taylor Still (1828-1917), an American allopathic medical doctor and surgeon from Kansas. After the traumatic death of his three children from spinal meningitis, he became frustrated and disenchanted with western medical practices. Dr. Still began his search for a new medical model – a natural, drug-free way to treat pain and dis-ease. He spent the next decade studying anatomy, physiology and disease, and eventually based his new system on the idea that manipulation of the spine could improve blood flow and thus improve health by allowing the body to heal itself. In 1892, Dr. Still founded the American School of Osteopathy (ASO) in Kirksville, U.S.A, the world’s first osteopathic medical school. He first graduating class comprised fifteen students. By 1902, three hundred students graduated from the ASO, including students from Canada and Europe. In August 1900, the Dominion Institute of Osteopathy produced and released a pamphlet entitled “The Canadian Osteopath”. Osteopathy was officially recognized in the United States under Theodore Roosevelt’s presidency – he was personally successfully treated by Osteopathy. In 1982, the College d’Etudes Osteopathiques (CEO) was founded in Quebec. It offered a five year program of clinical and academic study in osteopathic manipulation, including a research thesis. To date, this program has trained 600 osteopaths, and currently enrols 350 students. In 1992, the CEO started a school in Toronto — the Canadian College of Osteopathy (CCO). Ten students were originally enrolled in the program, and today, there are well over 200 students. Branch campuses offer the same osteopathy program in Winnipeg, Vancouver and Halifax, and osteopathic medicine is presently taught in more than fifteen schools in the United States and Canada. Osteopathy in Toronto has become a trusted and effective way for people to alleviate aches, pains, injuries, stress and a host of ailments and dis-eases. For many people, their osteopath has become indispensable in their pursuit of greater health and well being. If you’re looking for an osteopath, contact our receptionist at 416-792-4400 or by using the form below and she will book you for a FREE 15-minute phone or in-person consultation with one of our exceptional osteopathic manual practitioners.